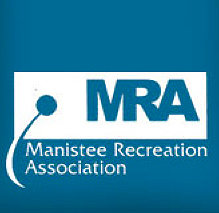 The Manistee Community Track was envisioned to unite our community in promoting healthy active lifestyles for all, community fitness, and the pursuit of lifelong sports participation. The track was designed to be used by Manistee County students from all schools, Manistee Recreation Association athletes, community runners and walkers of all ages, and groups from the community to provide fitness rehabilitation. 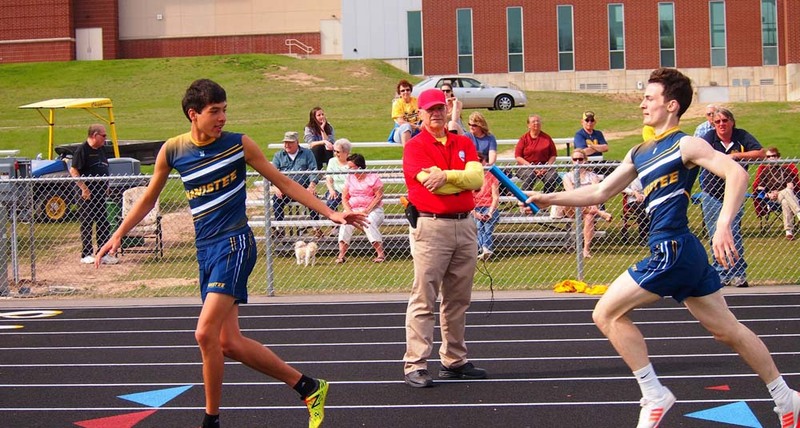 In order to host track meets, an additional $60,000 worth of equipment was purchased through private donation: hurdles, timing system, pits/mats for the high jump, pole vault. Phase 2 of the Community Track Project will include a 500-seat bleachers press box and asphalt walkways and drives. In 1978 the 6 lane Centennial Track was opened. Unfortunately, over time that track deteriorated and due to a number of factors would have required a substantial amount of money to fix such that it could be used for training and meets. In the past 10 years no meets have been able to be held due to the condition of the track. In spite of the poor condition of the track, MAPS has had a very competitive track program. 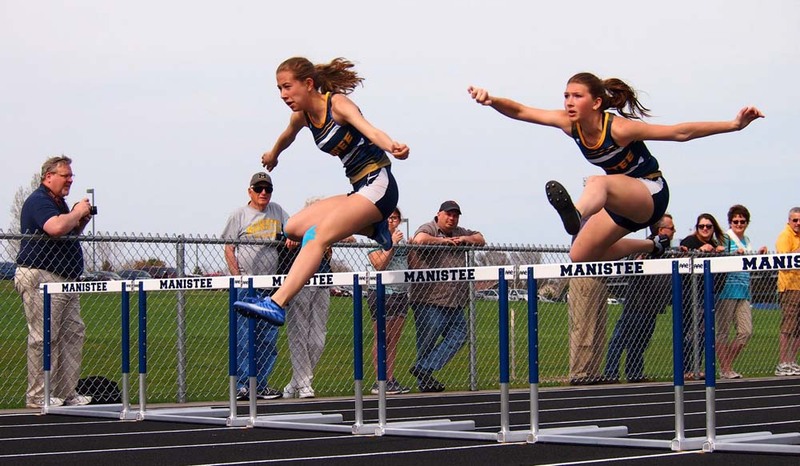 In the past 10 years since the Centennial Track ceased to be used for competition, Manistee has produced 17 all-state track and field athletes, including 4 state champions. Three of these athletes went on to receive high college honors in track, with several still competing on the collegiate level. This was accomplished without the use of a track for competition or safe practice. Fundraising for a new track was started approximately 10 years ago and due to the efforts of a lot of individuals over $100,000 was raised. In 2014 the MAPS School Board approved the proceeds from the sale of the old Kennedy Elementary building in Parkdale as well as the proceeds from a timber sale on the school forest be contributed to the Community Track project. Since that time fundraising efforts have kicked into high gear with significant donations from several local businesses and organizations as well as a significant number of individual/family donations. During the winter of 15/16 we worked with Foresite Design, which is a design firm that specializes in school and community sports facilities. Through this process, several different site locations and orientations were evaluated to maximize the quality of track we can provide the community as well as making sure that the MAPS facilities are used in an efficient manner that supports all of our athletic efforts. The end goal to create a top notch track for community and school use. It was decided that the site south of the MMHS school facility would be an excellent location for the new community track and would allow the existing Centennial Track location to be turned into a practice field for soccer and football. Due to the topography, an east/west orientation for the new Community Track makes best use of the space available, allowing us to retain practice football and soccer fields in that area as well as the existing location of the softball and baseball fields. 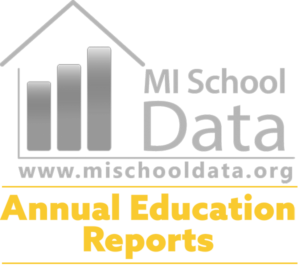 In the spring of the 2017/18 school year Phase 1 was completed and the first track meet was held May 8, 2018 when Manistee was the home team in a track meet with Muskegon Catholic Central. The Chippewas won the Lakes-8 dual meet over the Crusaders, but the real excitement was that the meet took place, on the new Manistee Community Track that both teams can call home. Replacing the track with a modern, eight-lane track built to 21st century standards has been a dream of many for decades. In fact, many dedicated citizens have been actively raising money by sponsoring races, pumping gas, selling dinners, and collecting donations for many, many years. At the same time, our School Board has successfully sold the former Kennedy School in Parkdale and dedicated the proceeds of the sale, along with timber cutting funds, towards a new track. We are now in the homestretch and ask that you participate in that fundraising effort. Please give generously. Thanks in advance for FINISHING this important race!